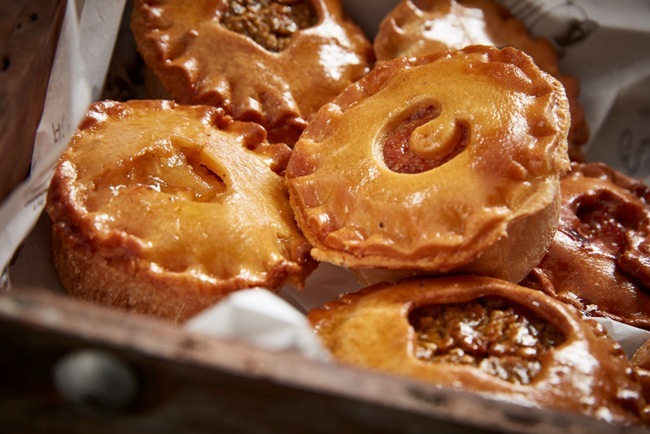 Award-winning butcher, Eric’s, has appointed Leeds-based integrated marketing agency, Pure, to undertake a rebranding project, which will see the agency craft a new brand identity for the Yorkshire pie maker. Following a recommendation from an existing client, Pure has been selected by Eric’s to develop a new brand and website to effectively reflect the upmarket, quality credentials of the company’s pies and meat products. The new e-commerce website that Pure’s digital team will design and build will allow Eric’s trade customers to manage their accounts online, while enabling consumers to browse the wide range of Eric’s produce and order via the website. Eric’s has also called upon Pure’s photography services, which will see the agency capture imagery of the pie maker’s products in its 5,000 sq. ft. studio in Leeds, as well as on location at the Eric’s head office in Ossett, where the company’s renowned pies are handmade. Tom Martin, managing director at Eric’s, said: “After a recommendation from a fellow Yorkshire business, we benchmarked Pure against their competition and it quickly became clear that Pure was the agency we were looking for. “Pure’s ability to offer a host of services – from design and branding to web development and photography – meant that it has the capabilities to service our marketing requirements perfectly. Once completed, the new Eric’s branding will be rolled out across a range of collateral including packaging, bags, aprons, vehicle livery, signage, stationery, brochures and email marketing campaigns, all designed and produced by Pure. Gary Dooley, director of Pure, said: “As an agency we’re very proud of our reputation for providing a range of integrated marketing services all under one roof and for our clients to not only recognise this but recommend our offering to other businesses is fantastic. Established in 1998, Pure is a full-service agency offering design, PR, marketing, social media, digital, photography and video production in its 5,000 sq ft studio at its premises in Leeds. Clients include Joseph Turner, Ring Automotive, Silver Cross, Mintex, Lindam and Lansinoh.